Although the phrase "money rules the world" isn't entirely true, it is clear that money is a necessity in order to live a comfortable life. Oftentimes, people find themselves spending money that should have been saved. 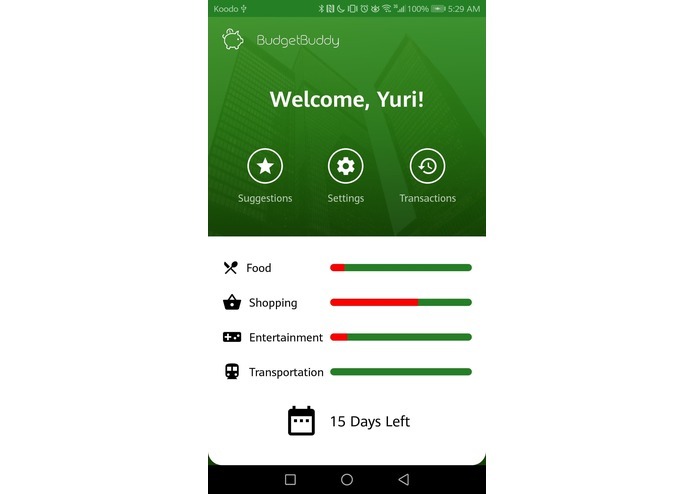 BudgetBuddy allows users to input their desired budget and automatically receive custom notifications about possible shopping alternatives to stores that they frequent, providing a clear and concise solution that helps people save money. 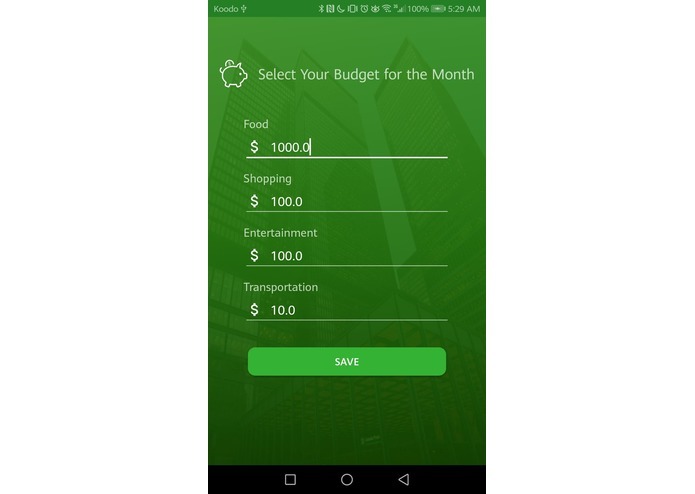 BudgetBuddy is a simple android app that helps users budget their money and pay attention to their spending habits. 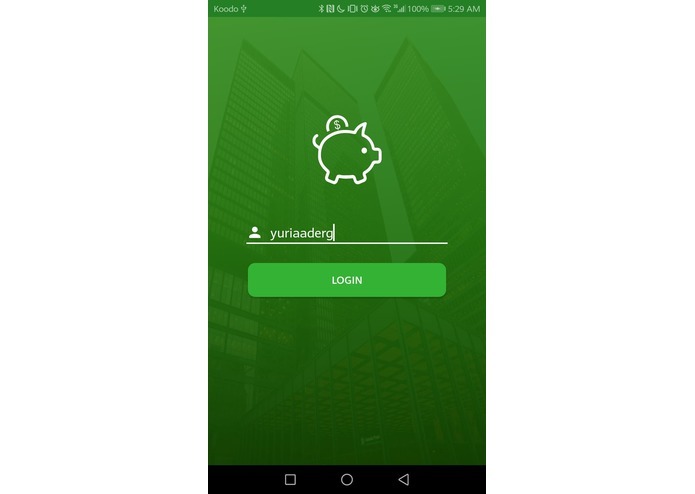 The app connects to the user's TD bank account, and utilizes previous transaction history to automate the process and recommendations. Then, the user can edit their personal budget for various categories (e.g. entertainment, transportation, food and dining, shopping). Over the course of a month, the app will record a user's spending habits. If the budget line is soon to be crossed, the app will offer more affordable alternatives to places the user regularly goes to. BudgetBuddy strives to perfect the balance between accuracy and ease of use that is hard to find in modern budgeting tools. BudgetBuddy's strong competitive advantage comes as a result of the vast information it provides while remaining very simple to use. 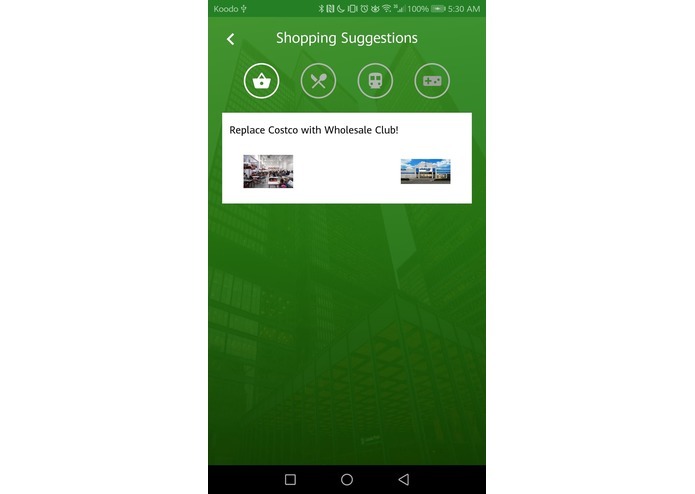 Information on previous purchases, current budgeting, and overall financial well-being are all easily accessible through the app. But plenty of apps do this, so what makes BudgetBuddy unique? Unlike competitors that simply make users aware of the problem, BudgetBuddy is different - we provide a solution in the form of automatically personalized recommendations that may better cater to a customer's budget. BudgetBuddy is written in Java through AndroidStudio. In order to solidify the proof of concept results that BudgetBuddy displays, we have implemented the TD Bank Da Vinci API to show the experience that users may have. Furthermore, data and recommendations are gathered through the Yelp Fusion API. This allows for users to receive recommendations and budgeting suggestions based upon the experience of other customers. In the short term, we plan to continue to expand our available features. This includes recommendations that can be favourited or deleted, easily viewable and searchable transaction history, customizable catagorization of purchases, and more. Further down the road we want to expand BudgetBuddy to multiple platforms, making it easier for a wider audience to manage their finances. 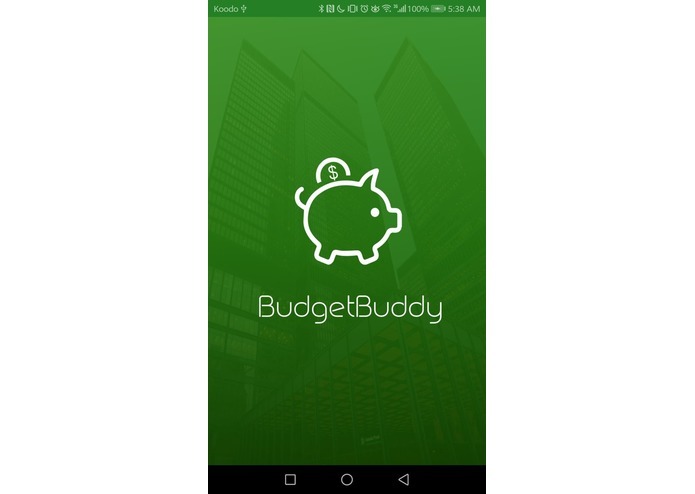 We hope to eventually have BudgetBuddy accessible through banking apps as a financial management tool.